This proverb I hold dear to my heart and continue to live by it to help bring about change for the better. I believe I am equal to everyone despite our physical and psychological differences and I should help a fellow neighbor who is need. Nancy Adjei was a Peace Corps Volunteer in Thailand. I have always had a passion to serve in different capacities. I believe serving is my calling and this attribute helps define who I am. Since I could remember, I would always volunteer where help was needed. Growing up I was fortunate enough to see a positive role model in my mother, who would always take time to help those around her. She took time to cook, babysit, and serve in church events. My first volunteer experience was in middle school doing a car wash. We were fundraising for the basketball team. I realized then that the act of giving your time to help a greater cause is something I continuously wanted to be a part of. The influence of my mother and the experience in middle school led me to find this passion of serving. The continual volunteerism throughout my teen years eventually led me to serve with two organizations, City Year and Peace Corps. As a first year AmeriCorps member, I felt fulfillment throughout my service. I met many people, worked on an amazing and diverse team, learned to think as an idealist, designed and implemented projects, gave and received feedback, wrote grants and built relationships with the students I worked with. I decided to serve another year as a senior AmeriCorps member with recruitment because I felt that my service wasn’t complete. After my two years of service I felt it was time to apply to the Peace Corps. I was ready! City Year taught me so much and I knew it was time to take my skills and knowledge internationally. I wanted to volunteer in a different country because in the future I plan to go back to Ghana, where my family is from, and open a youth center for abandoned children. My vision for this is to provide children and youth with a safe home, educational resources and the necessary support they need in order to create a brighter future for themselves. Peace Corps sent me to Thailand as a Youth in Development Volunteer. While serving in Thailand, I was able to utilize the many skills I learned from City Year throughout my service. In City Year, we painted murals as a service project, and with the help of Thai youth we were able to paint a mural at a pre-school. 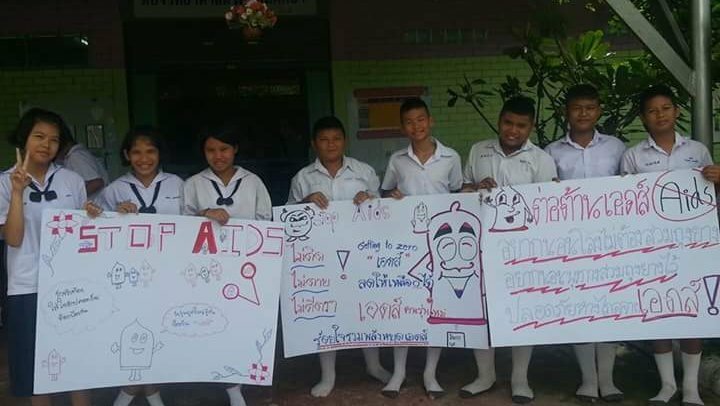 I taught Thai youth the different energizers City Year uses to get them excited to learn. I also collaborated with different stakeholders such as teachers, students, health workers and councilmen to help develop projects. 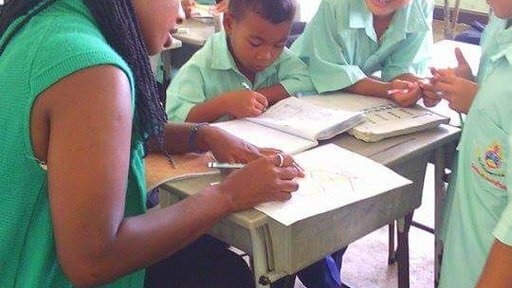 Prior to serving as a Peace Corps Volunteer I was hesitant to attend graduate school. But during my time in Thailand I met fellow Peace Corps Volunteers who previously worked as social workers and helped me to see that social work would be a great fit for me. Social workers are agents of change and fight for justice in different capacities. I was recently accepted to New York University to study global social work. One main lesson I learned from both City Year and Peace Corps is that service is a selfless act. I am excited to be part of a profession that embraces selflessness and puts others first. Nancy Adjei is an alumna of City Year San Jose (2010-12). She recently finished two years of service with the Peace Corps in Thailand. In Thailand, Nancy served as a Youth in Development Volunteer. In this position, she collaborated with teachers, community members, and health workers to develop activities that catered to the psychological and physical needs of both youth and children. She is a graduate of Azusa Pacific University.